The life-size wooden sculpture Gubben Rosenbom (The Old Rosebom) stands in front of the Admirality Church Ulrica Pia in Karlskrona. The sculpture became known worldwide in particular from the tale The Wonderful Adventures of Nils by Selma Lagerlöf. The colored sculpture in the shape of a gray-haired man in the uniform of a sailor dates back to the year 1750 and serves as a money collecting box for alms. If you flip the hat, you can insert coins in the head of the figure. 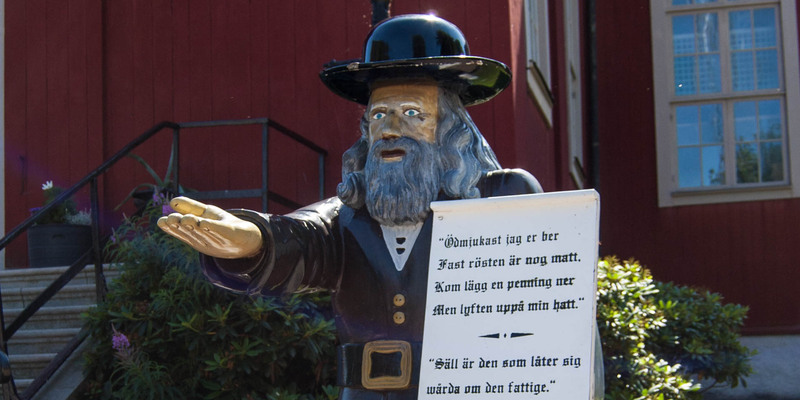 In his left hand Rosenbom holding a poster with the following text in Old Swedish: "I humbly beg you, even if my voice is powerless, come, put a penny in, but first lift up my hat. Blessed are those who take care of the poor." The last sentence comes from the Biblical Psalm 42.1. The present figure in front of the church is a copy of the original sculpture from the mid-18th century, which is protected inside the Admirality Church since 1956. The creation of the sculpture remains a mystery in history, but the legend is coherent and mixed reality with fiction. The name Rosenbom probably goes back to Mats Hindriksson Rosenbom, a boatman of the Swedish Navy from the Åland Islands (Finland), who settled in early Karlskrona in 1679. According to the legend, Rosenbom, now old and impoverished, was begging for alms from house to house in New Years Eve of 1717. Often he gets alms in liquid form, served as a shot, so that the old sailor was drunk after some time. At the house of captain Lagerbielke, Rosenbom bent down to give thanks for the alms he received, but forgot to remove his hat before, so it fell from his head. The captain picked up his hat and laughed: "If you want that Rosenbom thanks you, you have to lift the hat yourself." This saying pleased Rosenbom so well that he repeated it at the next door. There lived the famous sculptor Kolbe and he didn't found the act funny. He strucks Rosenbom and drove him out into the night. As Kolbe was plagued after a while from a bad conscience, Rosenbom saw him coming from afar and hid of fear at the Admirality Church. On New Year's morning Rosenbom was found frozen to death lying on an outer wall of the church. Shortly after Kolbe made the sculpture Gubben Rosenbom, where you can remove the hat to throw coins into it. 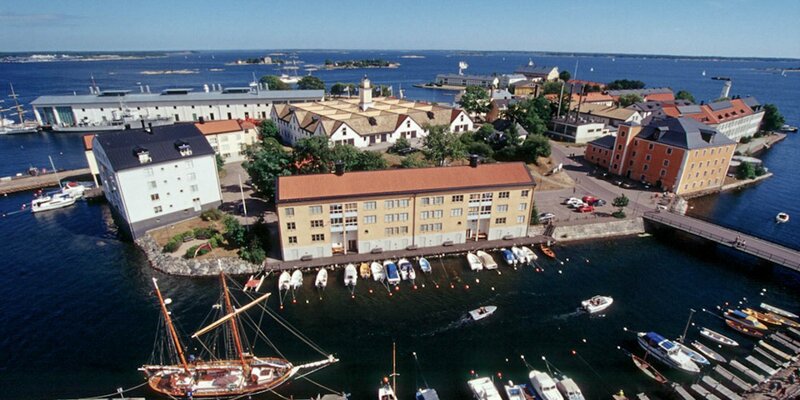 It is only provable that Mats Henriksson Rosebom moved to Karlskrona in 1679 and was a navy officer till 1704. His name does not appear in the lists of pensioners of the navy, nor in the official books of the dead. 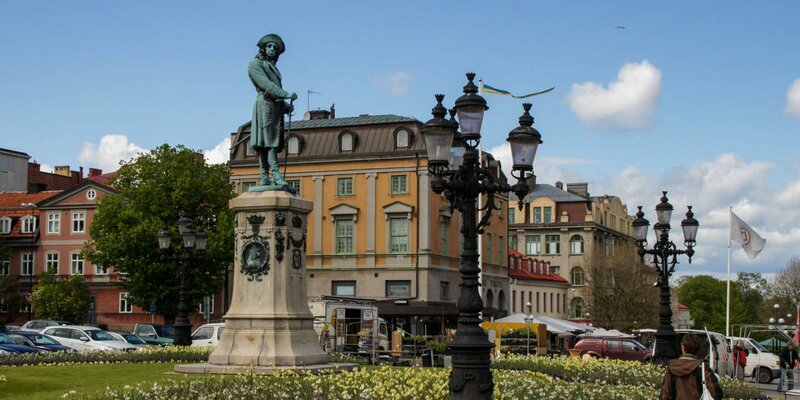 It seams that the historical Rosenbom has not died in Karlskrona. Also thers is no proof of a frozen person at the Admiralty Church in that night. The oldest written evidence of the existence of the sculpture dates back to 1793, a generation after the time of the period in the legend. Selma Lagerlöf took the literary freedom and made Rosebom a sailor on the famous warship Dristigheten. The ship was launched in 1785, so the historical Rosenbom was sure as hell not a crew member. 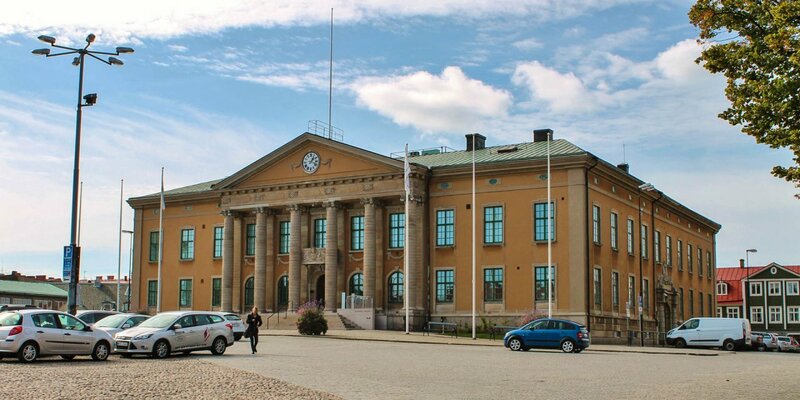 It is now rather assumed that the original sculpture has been created at the naval shipyard of Karlskrona. There worked a lot of carpenters, who came from Finland where this kind of collecting boxes were widespread in the 18th century. However, it does not explain how the collecting box Rosenbom came to its name.